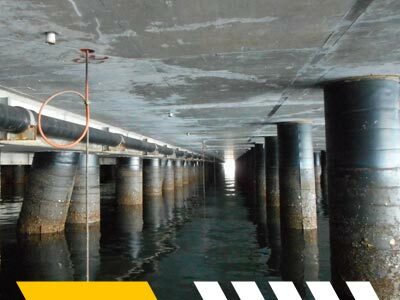 Cathodic protection (CP) is a method of corrosion control that can be applied to buried and submerged metallic structures. Brimar offers a comprehensive range of CP services, including engineering design, installation, monitoring and maintenance support services. With experience in CP applications for pipelines, distribution systems, water and waste infrastructure, both above and underground storage tanks and marine structures, our team is proficient at working across a range of CP system types including, impressed current, sacrificial anode and in-concrete systems. With highly trained and experienced engineers and technicians, we are able to create fully customised CP investigation and design plans, including corrosion surveys, testing, analysis, remediation, and system design information. 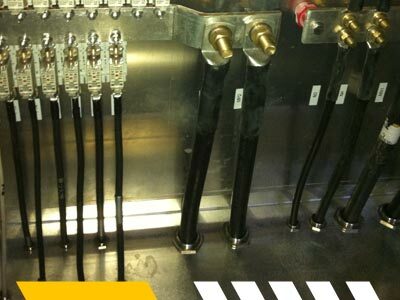 Additionally, Brimar offers a complete range of maintenance and operation services to suit a range of customer specific requirements. Possessing extensive experience as an electrical, instrumentation and automation solution provider means we allocate key focus towards the electrical design and installation of high availability CP systems. This includes the design and installation of customisable CP data monitoring and reporting solutions, which alert operators to pending CP system failures to increase system up-time and overall asset system reliability. Our extended in-house automation capability can assist the customer with the systems integration of HMI, SCADA and/or handheld monitoring platforms to measure the ongoing conditional health of entire CP networks. As an extended offering, our CP team is also experienced in the offsite hosting and outsourced maintenance management of customer CP assets. These fully hosted and secure monitoring platforms are designed with complete scalability in mind and can be tailored to monitor CP networks of any scale or geographical complexity. In-house capabilities in Project Management further allows our team to address all elements of larger CP installation projects, incorporating the management and self-performance of Electrical, Automation, Civil and/or Mechanical requirements to meet with customer project specific requirements.